The well-meaning protagonists of Brief Encounters with Che Guevara are caught-to both disastrous and hilarious effect-in the maelstrom of political and social upheaval surrounding them. Ben Fountain's prize-winning debut speaks to the intimate connection between the foreign, the familiar, and the inescapably human. 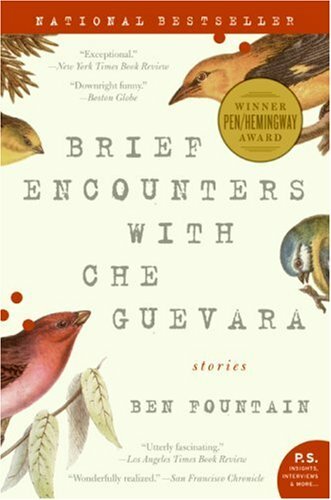 Ben Fountain is the author of Brief Encounters with Che Guevara . He has received the PEN/Hemingway Award, the Barnes & Noble Discover Award for Fiction, and a Whiting Writers' Award, among other honors and awards. He and his family live in Dallas.